Silver and mining investors have already had much to celebrate since finding a short-term bottom in November of last year. The 13’s and 14’s are ancient history now, with silver gunning for $16 an ounce and the 2011 highs within reach. Not that the silver community needed any more encouragement, but they received one heck of a boost from the Federal Reserve when they recently announced that they have no plans whatsoever to raise interest rates for the rest of this year. They also projected minimal rate hikes in 2020, and some are speculating that rate cuts could be in the works. That’s bad news for Treasury yields and the U.S. dollar, both of which plummeted upon the Fed’s announcement. For precious metals, however, Treasury yield and dollar pain means silver’s gain: the Federal Reserve has granted silver full permission to run high and fast for the next two years or more. Stocks will also receive a boost from the Fed’s ultra-dovish pronouncement; so while I’m certainly not against owning physical silver in your portfolio, the best returns should come from silver stocks. The one that I personally recommend is First Majestic Silver Corp. (NYSE:AG, TSX:FR), whose President and CEO is the legendary silver guru Keith Neumeyer. Keith Neumeyer is a name you need to know if you’re a serious silver investor. He’s been in the investment community for 35 years and founded First Majestic Silver back in 2002, and has listed a number of highly successful companies on the Toronto Stock Exchange. For years Mr. Neumeyer has brought his extensive experience dealing with financial, regulatory, legal, and accounting issues to the investment community – and to First Majestic Silver. As a result of his dedication to the mining space, Mr. Neumeyer has earned the E&Y Entrepreneur of the Year Award in 2011 for the Metals & Mining category. The company also has strong institutional ownership of 40%, with big names like Van Eck, Wheaton Precious Metals, The Vanguard Group, Morgan Stanley, and Blackrock each taking a sizable stake. Even the CEO himself, Mr. Neumeyer, owns 3.4 million shares – a supreme vote of confidence if I’ve ever seen it. And with silver making its big move post-Fed announcement, you’ll absolutely want to focus on a pure silver play – not most miners, who put silver second or third on their list of priorities. You won’t need to worry about that with First Majestic, as it’s a true and pure silver play with over 60% of the company’s revenues derived from silver mining. 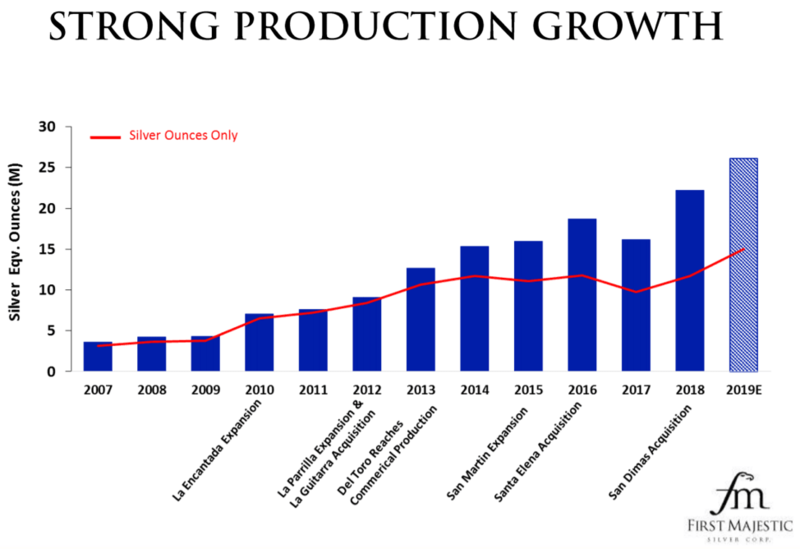 So now you’ve got every reason to invest in First Majestic Silver: a fresh bull market in silver backed by the Fed, along with a top-tier miner led by none other than Keith Neumeyer – pure leadership, pure silver, and pure profits.